Did you know that some of our Coordinators and Members are Adults Surviving CHD? 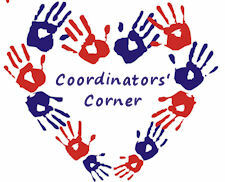 We have been introducing you to Coordinators from across the country, we now have close to 70 groups! Soon we will be introducing Adults Surviving CHD in a new blog series. They will be sharing life experiences, what it was like to grow up with a Congenital Heart Defect in times when Awareness was not important, what it was like to transition into adulthood, and how their Congenital Heart Defect has shaped them. Some of them are parents, and some of them will never have children. All of them are Surviving CHD. As adults Surviving CHD they play an important role in helping new CHD parents understand the future of our children. Many times we enter the world of CHD blindsided, without any real understanding of what our future will hold, without any real understanding of what the future has in store for our child. While every pregnancy, birth experience, childhood, Congenital Heart Defect and Adult Surviving CHD is different, it is important to understand that in most cases CHD is not a death sentence. Join us as we get to know the Adults Surviving CHD, while we support the families of our CHD Heroes and CHD Angels. Help us to Raise Awareness, Fund Research and Fight Congenital Heart Defects so that one day we can say that all babies and children will Survive CHD.